The Seahawks felt they got their QB of the future this offseason when they handed Packers free agent QBMatt Flynn a three-year deal worth $26 million this offseason. Now, he’ll do the same thing he did last season in Green Bay – hold a clipboard as the number two QB. That’s because of the shocker announcement of the preseason made Sunday by Pete Carroll and John Schneider, who declared rookie Russell Wilson as the new QB in Seattle. Carroll announced Sunday night that the rookie quarterback from Wisconsin will be the starter when the Seahawks open the regular season on September 9th at Arizona. 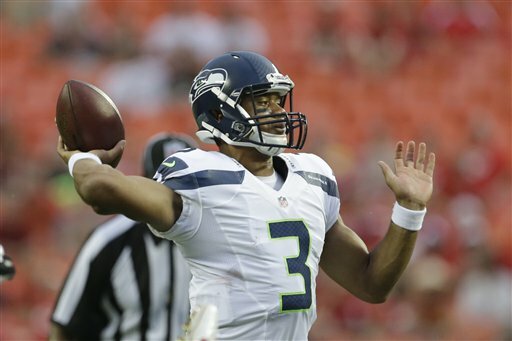 Wilson beat out both Flynn and Tarvaris Jackson, who the team is moving to the Buffalo Bills.